The 3-year-old Richardson girl at the center of an Amber Alert issued Saturday was put outside in the middle of the night as punishment for not drinking milk, according to an arrest warrant affidavit. The Amber Alert has since been discontinued as of Monday afternoon. There have been no new developments in her case according to WFAA reporter, David Goins. 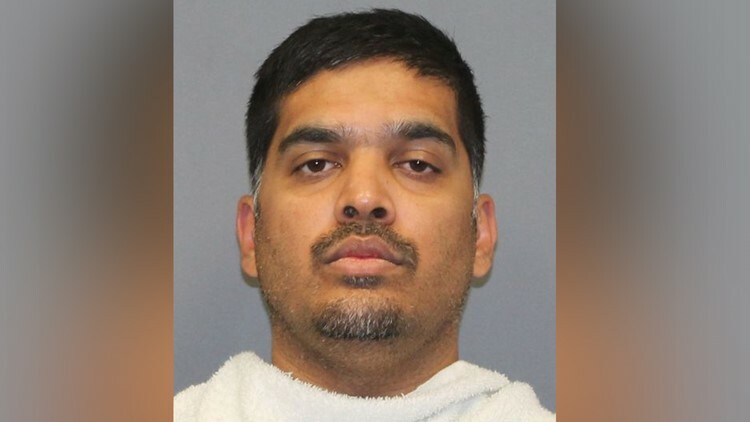 Wesley Mathews took his daughter, Sherin Mathews, outside at 3 a.m. Saturday to discipline her, the affidavit states. According to the affidavit, he told her to stand near a large tree in the backyard. When he went outside 15 minutes later, his daughter was gone. Wesley Mathews told police that coyotes had been spotted in the alley where he left his daughter, whose whereabouts are still unknown. The house in the 900 block of Sunningdale also backs up to railroad tracks. Police weren't called to the home until some five hours after the child was last seen, according to Sgt. Kevin Perlich. The couple's 4-year-old daughter ha been removed and placed in foster care, said Marissa Gonzales, a spkeswoman with Texas Department of Family and Protective Services. "The family has had contact with CPS previously, however details are confidential," Gonzales said. An Amber Alert was issued for the girl Saturday afternoon and continued Monday afternoon. Police were canvassing the area Sunday evening while neighbors were posting new fliers around the neighborhood. 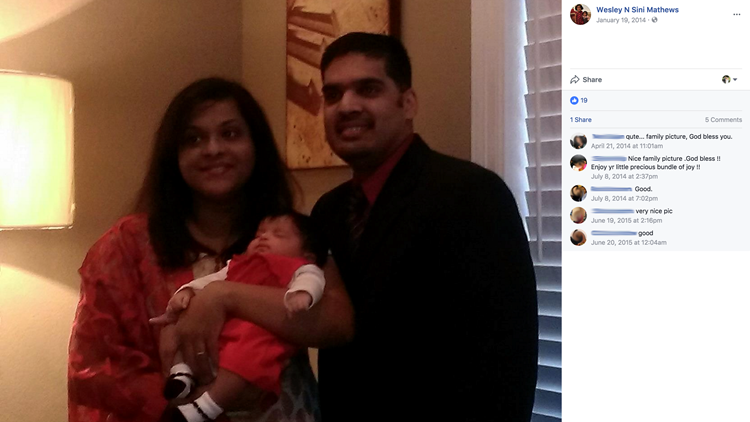 Wesley Mathews was arrested on Saturday and charged with Abandoning or Endangering a Child. On Sunday, he was arraigned on the endangerment charge and a judge set his bond at $250,000. Perlich said search teams used dogs and went door-to-door in the family's neighborhood Saturday morning and into the afternoon but so far had no leads on the girl's location. “We’re trying to pick up any type of scent, or items of clothing, or anything like that, that might give us a clue she was there," Perlich said. Late Saturday, investigators towed two SUVs and a minivan from the home as part of a search for "any potential evidence." Members of the family's church gathered outside of the home Saturday afternoon and said the girl's parents were being interviewed at police headquarters.